Study in the USA for a quality international education that you can be proud of achieving. 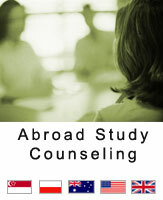 Of the 1.2 million students who choose to Study Abroad, more than one-third choose to Study in America. Why do so many students from all over the world choose U.S. colleges and universities? Get an Education in America and Study in America with Leading Technology to fast track your road to success. Study in the USA, home to several of the worlds largest and most exciting cities and widest range of interesting things to do. So much of the United States is represented in the media by way of movies, documentaries, magazines, music and news reports it can seem familiar to the most foreign of travelers. However, American life is as complex, rewarding and exciting as anywhere else on the globe, with a wide and varied range of opportunities. Education in America is the perfect vehicle in which to explore these opportunities. International Students are a large part of most of the institutions in the USA and consequently there are facilities and services in place to make you feel as warm and welcome as possible. Everything is provided with assistance, finding accommodation, orientation of the campus, resume assistance for when you graduate and everything in between. Each and every Institution has a community willing and able to help you all the way. Long term career prospects are greatly increased with an education in America due to the respect that the American Education system demands around the globe. Study Abroad is also a life changing experience where many international students make lifelong friends and change their perspective on life and where they want to head. Education in America is an easily marketable commodity, study abroad is renowned around the globe as being a valuable and rich experience.